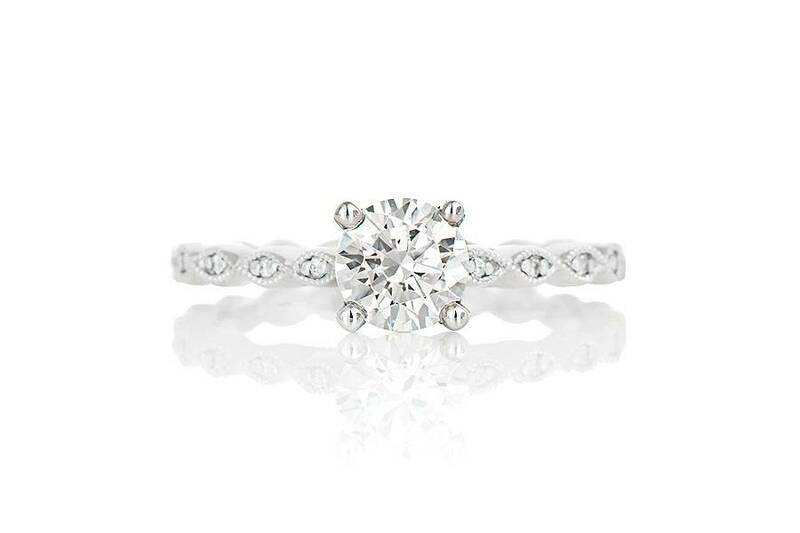 The Millie is our classic contemporary styled diamond engagement ring with pave set detailing. This setting is a custom made piece and can suit a variety of diamond sizes at center. Crafted in 14k white gold, this setting is set with 10 round brilliant cut diamonds that are pave set into pod like shapes down the shoulders of the ring. These diamond pods are framed with miligrain detail. 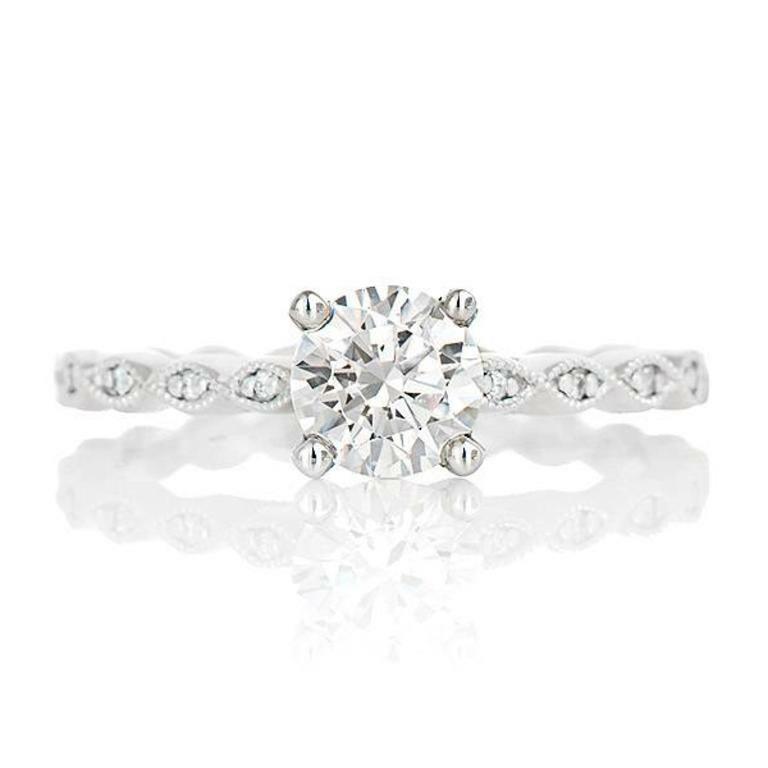 It is pictured with a 0.75ct cubic zirconia center and the setting (not including the center diamond) starts at $950 and up, plus any additional setting fees.